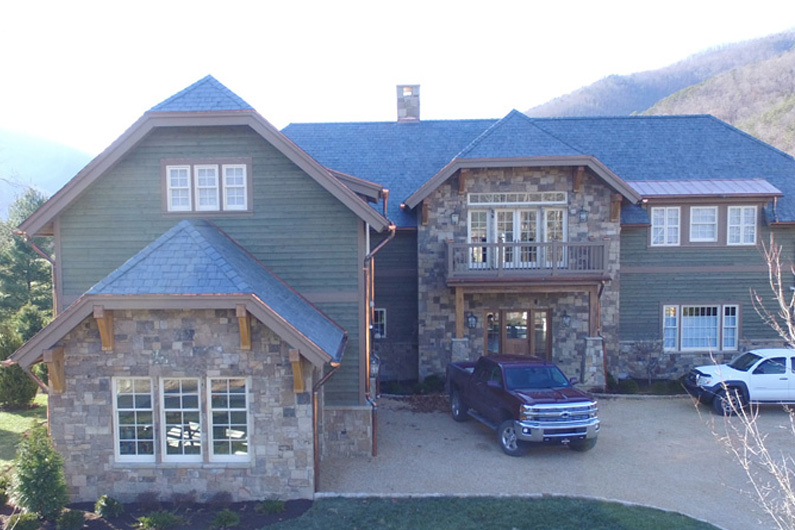 Greenstone Slate® Vermont Strata Gray was installed on this new construction slate roof in West Virginia using the innovative weight reducing slate installation method by SlateTec®. 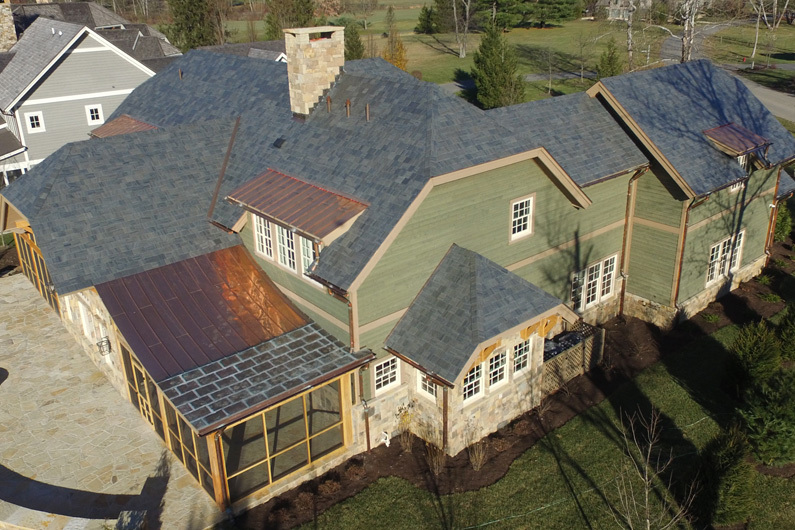 SlateTec’s patented interlayment installation system allows for less slate overlap which delivers a genuine slate roof that is 40% lighter than a traditionally installed slate roof–a great option for both new construction like this one, and roof replacements. 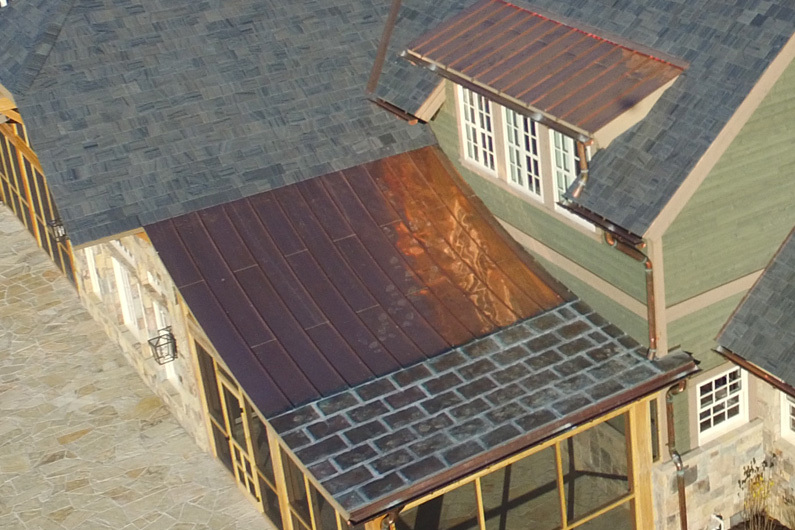 Learn more about SlateTec slate installation here. 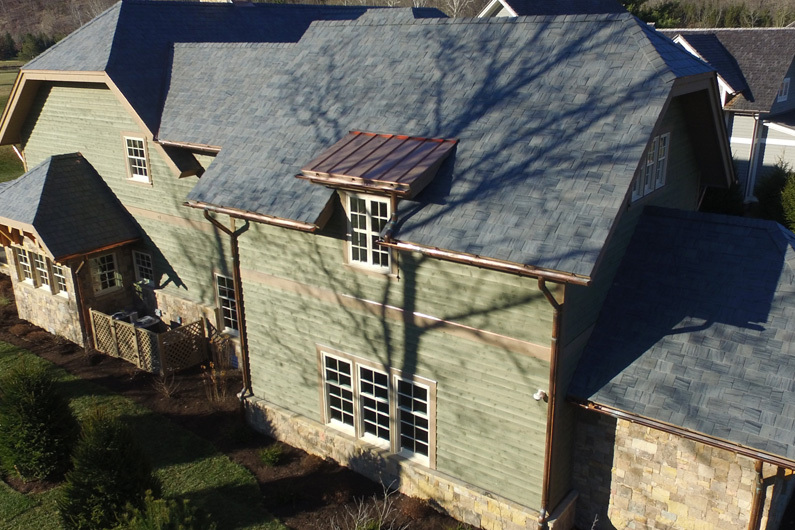 The Greenstone Slate Company provided 12” random width (RW) standard grade (1/4″ -3/8” thickness) slates. 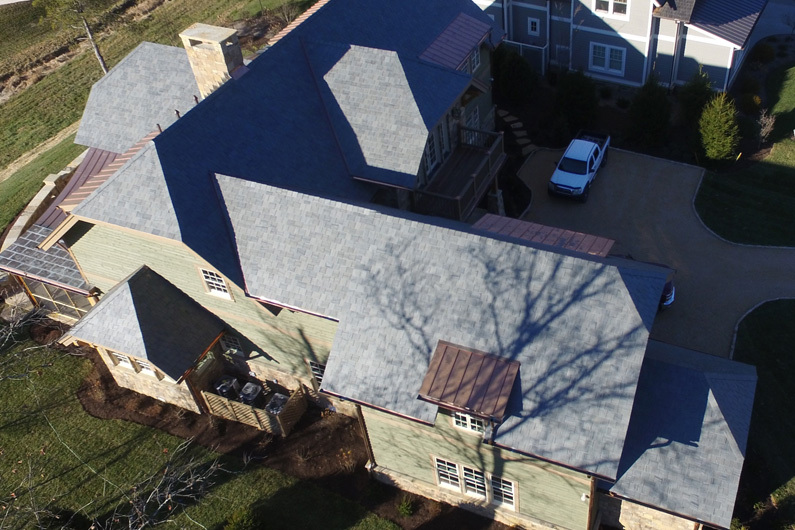 The mottling of the Vermont Strata Gray slate exhibits various shades of darker gray and black which gives this slate roof a unique and elegant character.